Throughout the school year, lower school students participated in an engaging global education exchange program with their peers at the Bayan Gardens School (BGS) in Saudi Arabia. 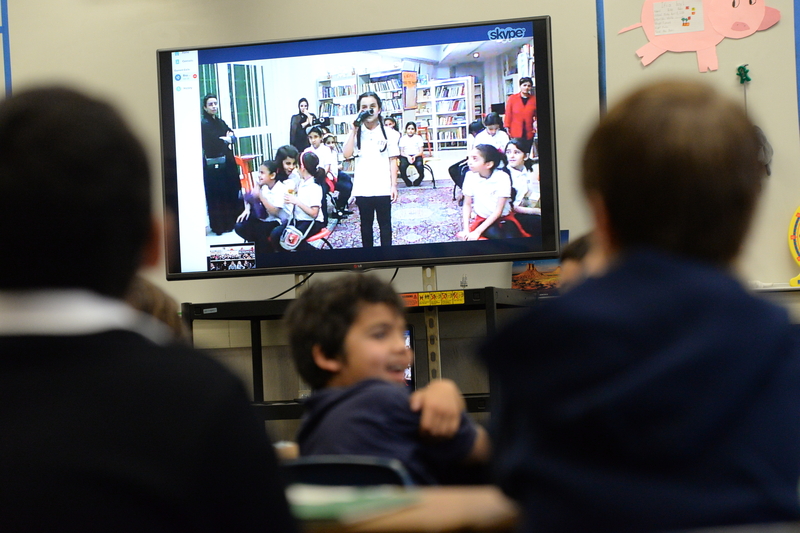 As part of that effort, students in Sejal Mehta’s grade 2 class held an informal Skype session with the BGS students in April. Prior to the Skype session, the Harker students had watched videos created by the BGS students about their culture and school, as well as read a book about BGS (also created by the Saudi Arabian students). During the Skype session, students from both schools gave tours of their classrooms and participated in a fun and informative question and answer exchange. “The global education department looks forward to hosting more of these Skype sessions in the lower school during the coming school year!” said Jennifer Walrod, director of global education.